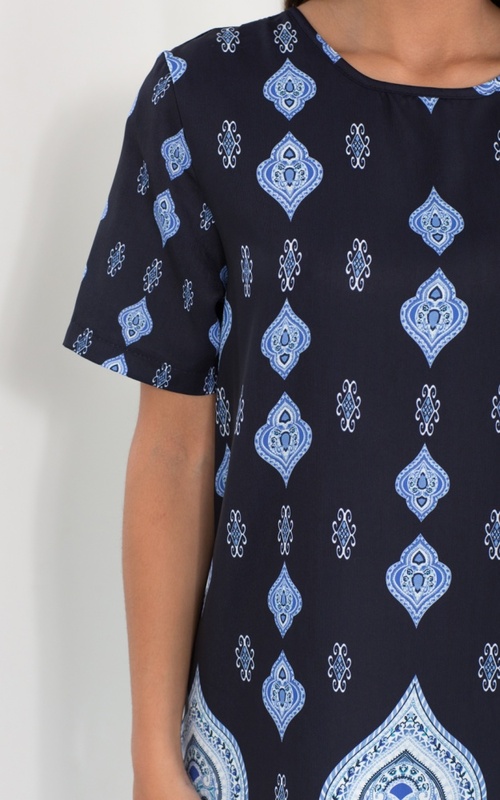 Our Temple Wars Shift Dress is a gorgeous everyday ensemble that can work for any occasion. The dress features a keyhole cut-out at the back with bubble button. Dress up with a stylish belt and heels for a night time look, or wear casually with a brimmed hat and sandals during the day.